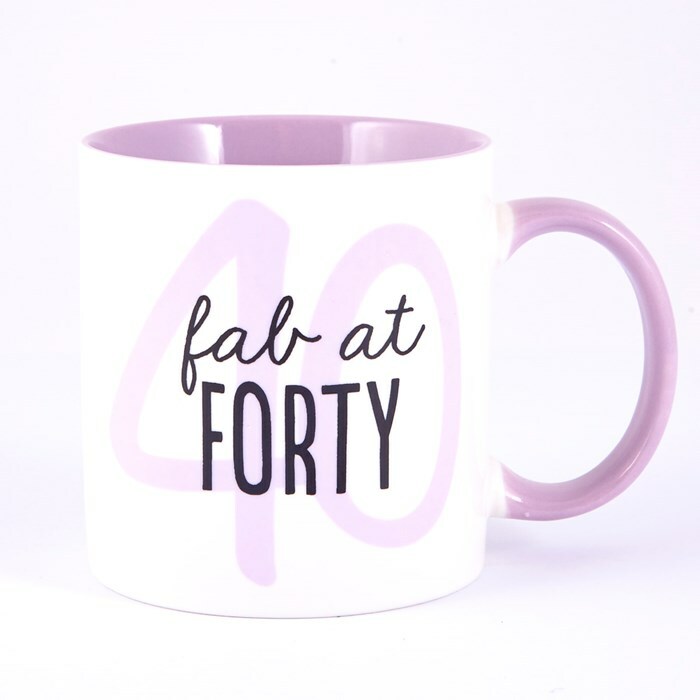 Fab at 40 Gift Mug | D.G.C. 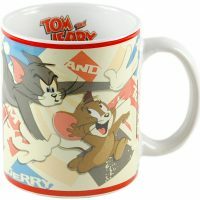 This mug is intended to be used for hot drinks. Before use it is recommended the mug is placed in a sink and, taking care, filled with boiling water. Leave to stand for one minute. Empty and wash before use. 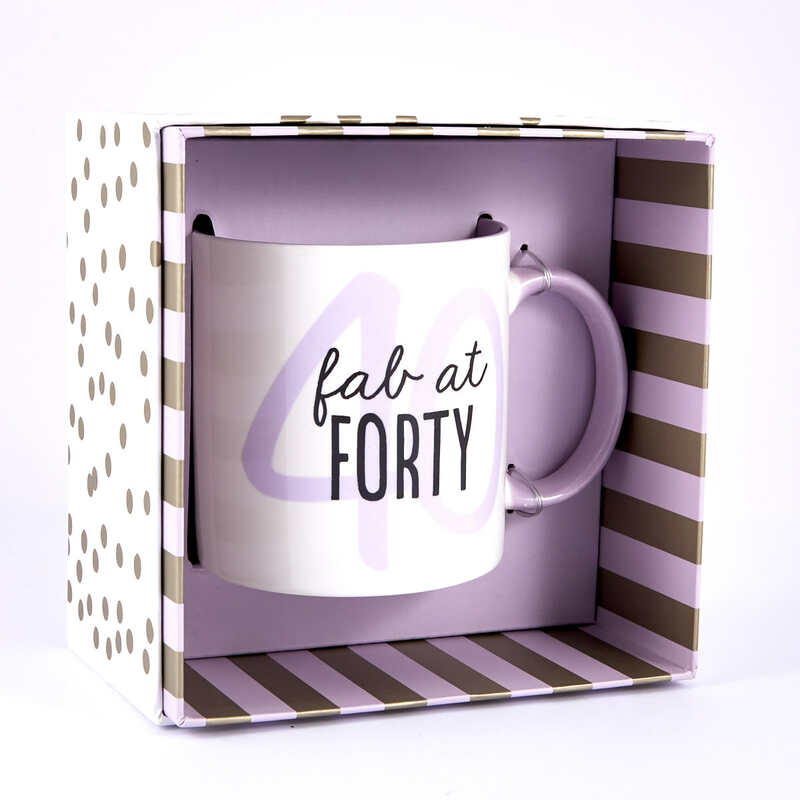 This “Fab at 40” gift mug is a great sentimental gift, thanks to the soft purple on white design and rough, hand-styled font used for the text. This 40th birthday gift mug is an excellent reminder that life is far from over at forty, and there’s still plenty more to go. 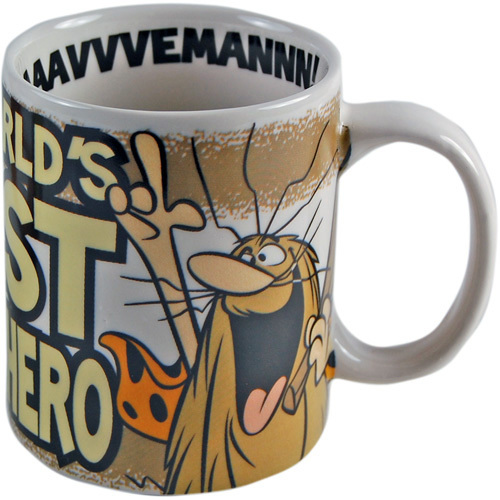 Meanwhile, this is a great mug for their favourite hot drink, or just a daily reminder to keep on keeping on. 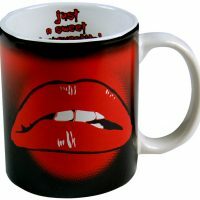 Buy the 40th birthday person this mug to remind them how fabulous they actually are!